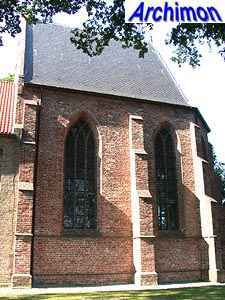 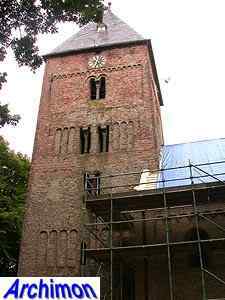 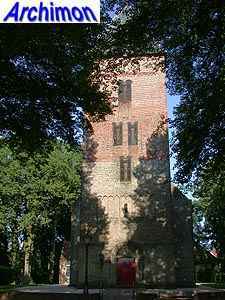 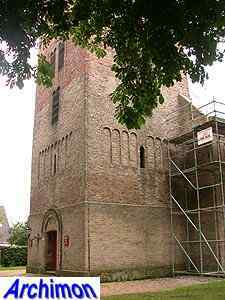 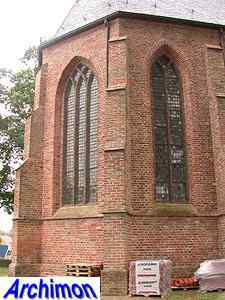 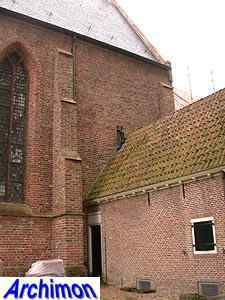 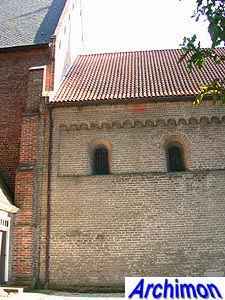 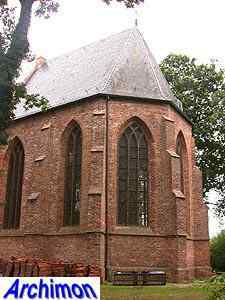 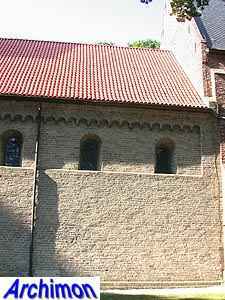 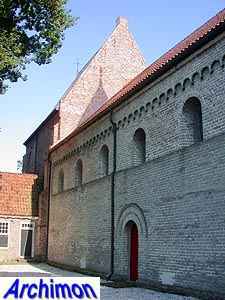 The church of Vries was built in the 12th century. 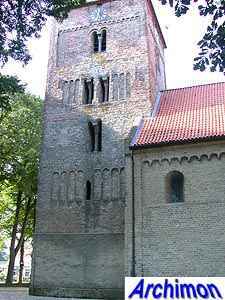 Both the tower and the nave are in Romanesque style. 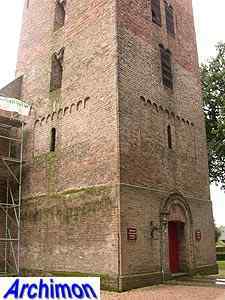 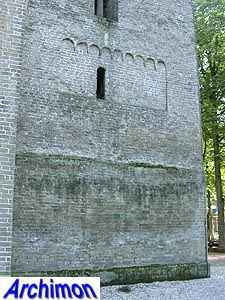 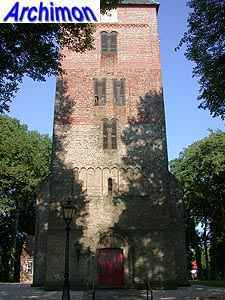 Especially the tower is a highlight of this style for The Netherlands, being decorated with arcades, niches and friezes. 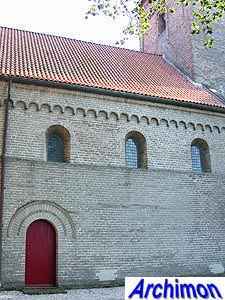 The sounding holes have small, decorated pillars. 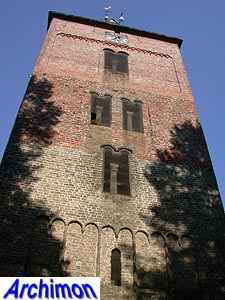 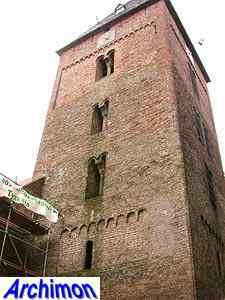 Most of the tower was built of tuff. 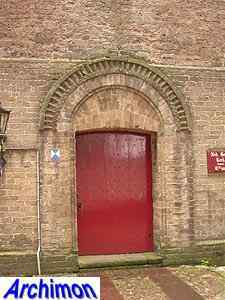 Only the upper segment is made of brick. 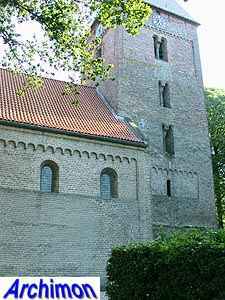 The nave was built a bit later than the tower, in the second half of the 12th century. 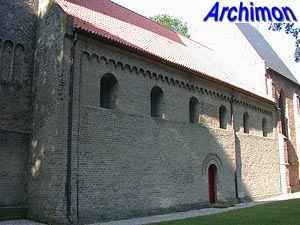 It is one aisle wide and also is built out of tuff. 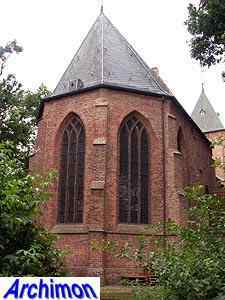 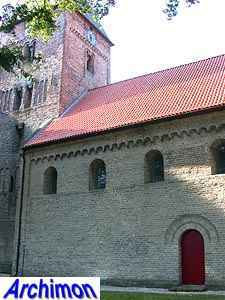 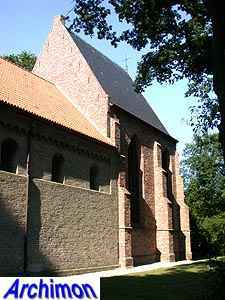 The original apse was replaced by a tall Gothic choir in 1425. 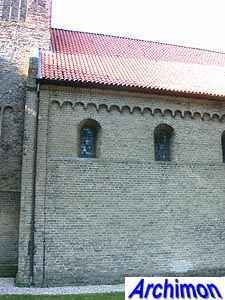 More changes followed in the next centuries, including the replacement of the original windows by taller, Gothic ones. 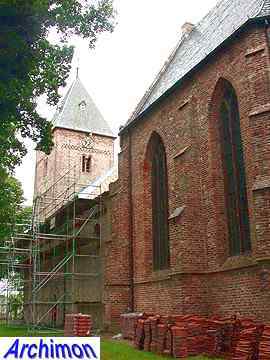 During a restoration in 1946-1949 the church was brought back to Romanesque state as much as possible.